I just realized that I didn't do one of these posts last month but since I shared our island vacation photos instead, it was kind of like I did. Anyway, here are are some photos of life recently. 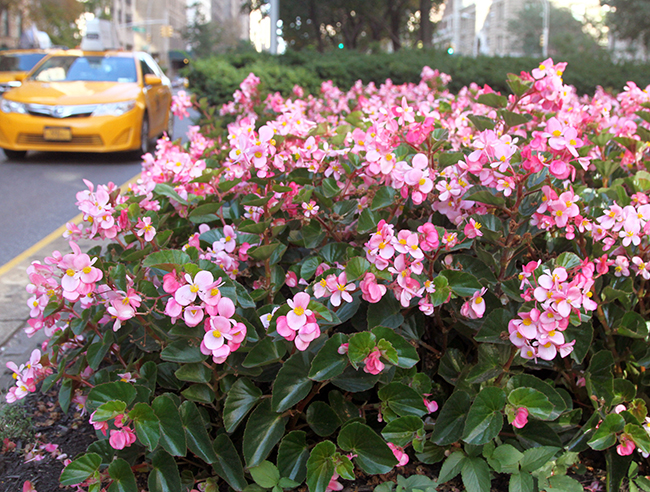 It's starting to look like fall in NYC these days and this is one of the most beautiful times of the year in the city. Like this past summer, our autumn has been relatively mild so far and we've been lucky to get some visits from Indian Summer. We swung by the Whitney Museum to see the space one last time before it closes and moves to Chelsea and also checked out the Jeff Koons retrospective which just finished it's run. 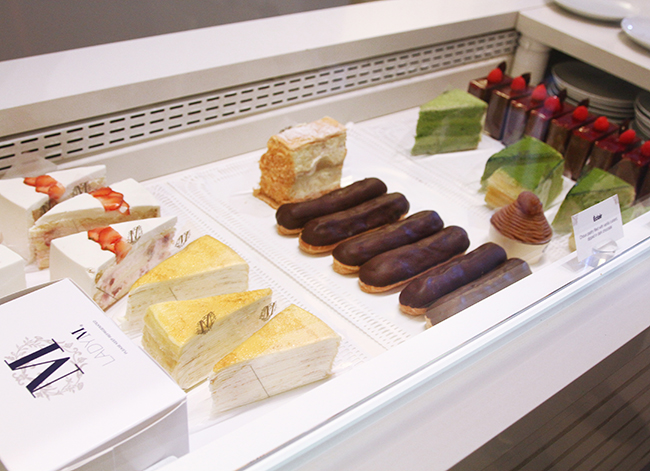 A trip uptown usually means a stop at Lady M Cake Boutique. We picked up a slice of their famous chocolate mille crȇpes cake to go. Lunch at Shake Shack. Hubster and I actually like their fresh cut fries but we must be in the minority since the crinkle cut fries will be making a return. 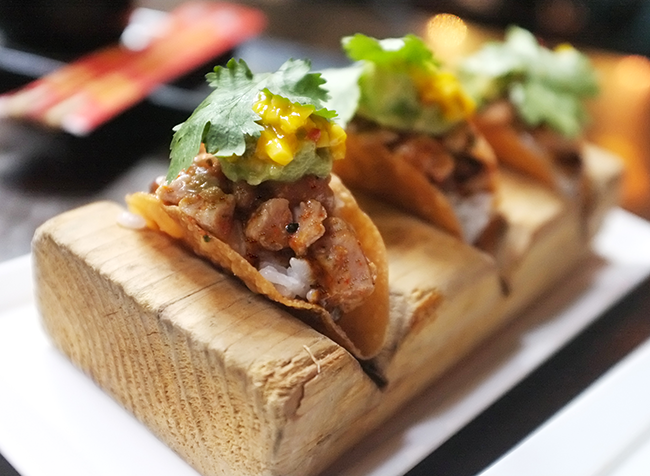 Charred tuna wonton tacos at Zengo. Tasty if a little difficult to eat. Gigantic soup dumpling at dimsum at Delight 28. It was sadly rather bland. The sticky rice steamed in bamboo leaves was much better. Cute sign outside Harney & Sons in Soho. 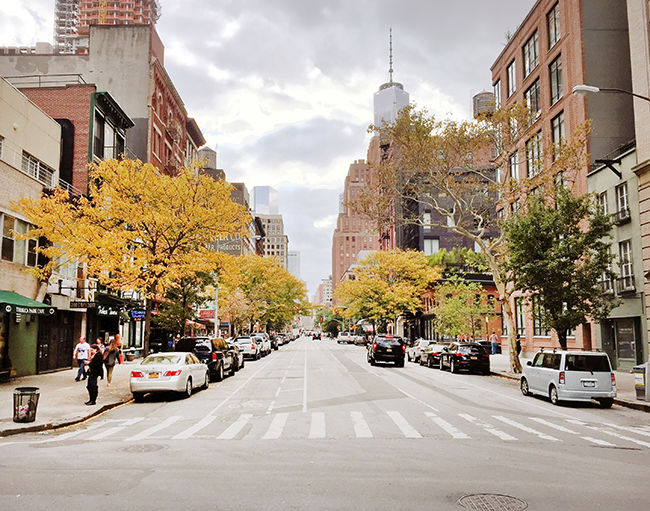 A peaceful autumn day in Tribeca. This post has made me VERY hungry! I've been to New York four times now, and I STILL haven't eaten at Shake Shack. What is wrong with me!? I feel like I am missing out terribly. 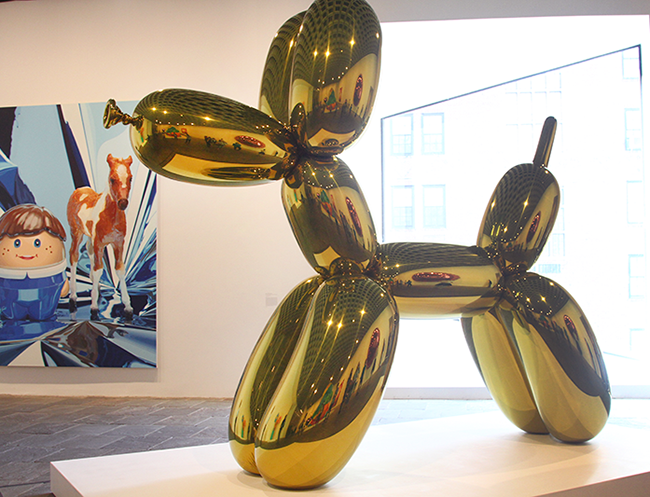 The Jeff Koons retrospective at the Whitney must've been pretty cool. I saw his exhibit at the Met a few years ago when it was on the rooftop, but I would've loved to have seen it at the Whitney. love that cute tea sign!! 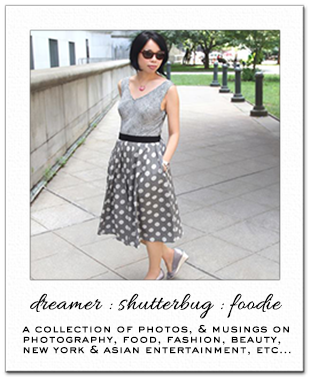 Gorgeous pictures great job doll love the food and how you capture the beauty of all. Oh, the last photo is so beautiful! Seems that autumn really has arrived there. We've been lucky here and enjoying a great sunny weather these days. The sad fact for me is that they are getting cooler soon... Those burgers on the photo above look so delicious! Mm! 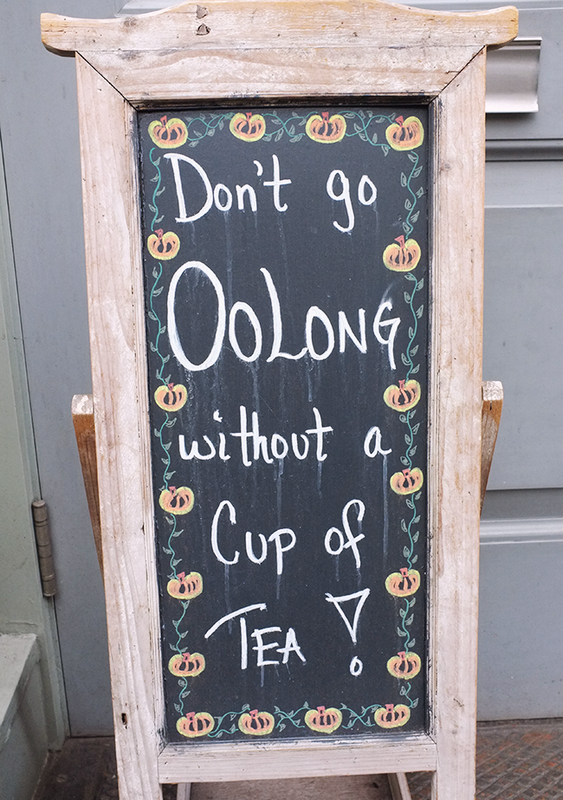 "OOlong," HA! I'm starving now after these photos. It's been too long since I've had dim sum (thinking of your dumpling). It's also been so long since I've taken photos!!!! Love these. I always love these posts Rowena, your photos are beautiful! Why can't I be in NYC right now. I would love to experience the Indian Summer myself. Everything looks marvelous. I was already hungry but now I'm starving. I need these burgers and the fresh cut fries. We don't have something like that over here and I think I have to make them on my own. Have a wonderful Monday Rowena!! Amazing fall pics, I love the autumn in NYC!!!!!! 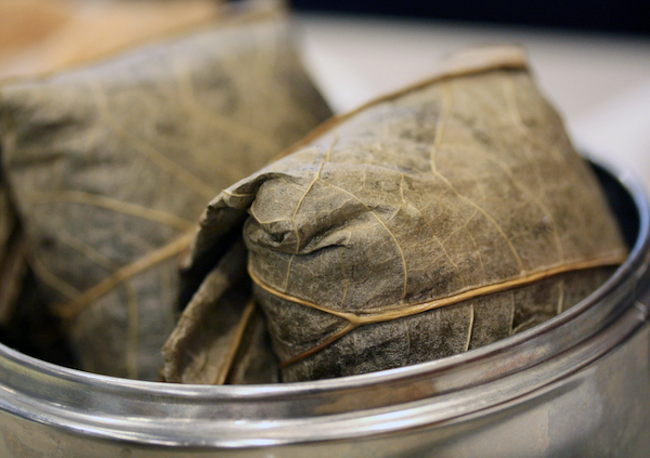 i love the sticky rice steamed in bamboo leaves. so so good! I would have loved to see the Jeff Koons exhibit! Postagem maravilhosa lindas imagens amei. Oooooh that food looks delicious! 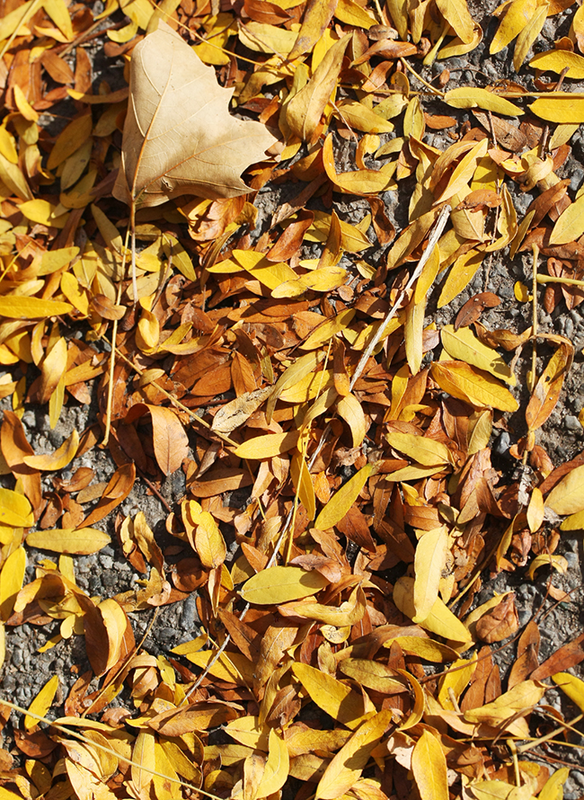 I love the photo of the leaves too, so gorgeous! That Oolong quote is hilarious! I bet New York looks beautiful at the moment. It is my dream to visit in autumn. Oh you haven't done one of these in a while. Shake Shake and Zenga look amazing. Will have to check those out. Amazing pictures. I adore your pictures and all the details. So glad you got to see the Koon expedition! I heard it was fabulous! Those sweets look so good Rowena. Awesome moments. I'm sure you don't know how much I love and miss nyc...looking at your wonderful photos makes me feel it even more. Wonderful pics NYC must be amazing in autumn I like visit this city some day! Thanks for sharing these beautiful pics, Rowena! Don't go long without a cup of tea - that's like the story of my life, haha! Very nice post and picture! Have a lovely day. If I could only spent an hour in NYC! What wouldn't I give. It's been more than a year since I've last visited... Your photos are gorgeous! Mmm! You certainly have some yummy places to eat at in NYC! I could totally go for a burger right now. lovely pics! they just opened a shake shack by my house! Love this post!!! you pictures are so good, I specially like the ones of food and the one that shows the fall leaves :) you are really capturing the moment! Thanks for sharing! I miss NY! I want to eat, eat, eat now! 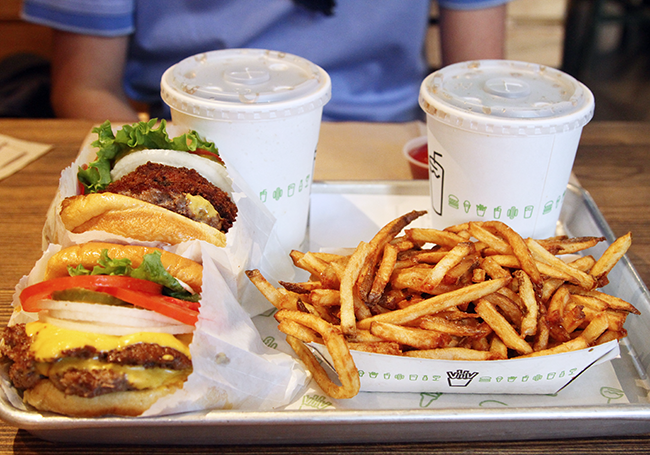 They really need to open up Shake Shack branches in Asia already as well as Lady M bakeries!